Feature & Follow Friday is a weekly event/hop hosted by Parajunkee and Alison Can Read. 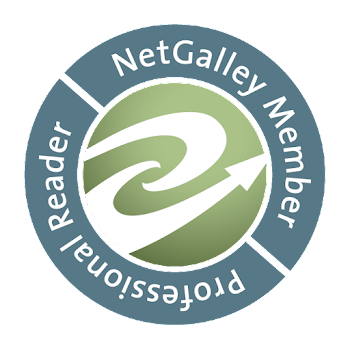 It’s a great way to find new blogs and make new friends! Q: What is your preferred reading format? 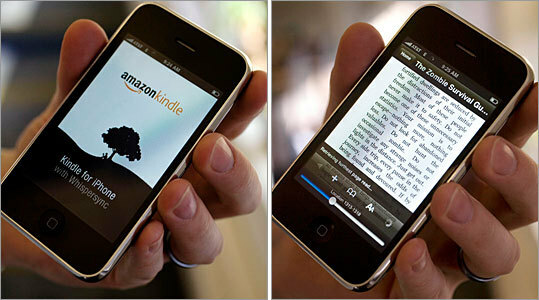 That's easy: The Kindle App on my iPhone. It's not the easiest to read -- and for long stretches I much prefer my regular Kindle -- but it's SO handy! I carry my phone with me everywhere I go, so I always have a book to read. I also use the OverDrive app to listen to audiobooks. It is very handy to have a Kindle app on the phone. I have an app on my phone, my iPod, and my computer. I usually just read on my kindle, though. Now that is something I hadn't thought of. It would be nice to pull up my fave book waiting on a line or something. Must investigate this. Happy Friday!! Thanks for stopping by! Followed back. I agree they are very handy! Old follower. I agree, especially since I don't have an actual Kindle, just the app on my phone, and I carry that everywhere. Yes! I love book apps on my phone! Thanks for stopping by my post! Followed you back! I switched to my iPhone from a Blackberry last month. I'm SO glad that I did! I love my Kindle. I don't have a cell phone but I do carry my Kindle with me everywhere! Hey! I love the feel of a book, but eBooks are my thing now. *laugh* I need the room. ;)Followed back by GFC. Thanks for the follow, favor returned. I have been using my iphone a lot lately to read books too. I have the kindle app but I also have Blue fire which reads epubs and I really like that app too. Thanks for visiting my blog! new GFC follower! Gotta agree with you there. The app is so convenient to read on the go! Thanks for stopping by mine already! Triangles Book Blitz, Book Excerpt, and GIVEAWAY! Pamela (slytherpuff) has read 31 books toward her goal of 113 books.